Greg Ness introduced the panel consisting of Bob Flores, Philip Lohaus and Dmytro Shymkiv in an afternoon session at the Future in Review conference titled “Ukraine: On the Front Lines of Russia’s Infowar Machine.” Ness summarized the aims of the session as answering three vital questions: Why us Ukraine strategically vital? What is happening at Ukraine today? Where do we go from here? As for the first question, Shymkiv started of by mentioning a previous panel on China’s infowar strategy. He stated that Russia’s infowar machine wants to disrupt and destroy western presence in Ukraine and also experiment with the kinds of tools can be used to influence behaviors and decision making in the West. On the second question, Shymkiv spoke about the systematic dismantling of critical infrastructure in the Ukraine, giving special mention to the whole Ministry of Finance being wiped out and energy grid being disrupted. “The Russians used tax report software for 400,000 computers extracting financial information and digital signatures,” he said. He further said that the Russians followed a pattern previously used by the Soviets of “burning” the machines. He said that within the first few hours of the virus, the companies they hacked lost 90 percent of their infrastructure. Further clarifying Russia’s use fake news, Shymkiv said that when Crimea was annexed, Russia used social media to influence people. Military recruitment was also done by social media. He also said that typically, fake news stories have 40 percent truth, so they look true while being true. As for the spread of these tactics beyond Ukraine, the panel said that these tactics have also been used in Georgia, Estonia and other places. They drew comparisons with China, in that Russia has developed a military doctrine based on the US’ doctrine’s weaknesses, to which the US has not yet adapted. Faced with a bleak situation, the panel wasn’t optimistic about things becoming better. Shymkiv mentioned a Russian experiment in the black sea to control GPS. When mentioning quantum computing, the panel agreed that while it would provide an advantage for a short time, it the advantage would eventually be closed by others. There was a call for the education system to teach kids to understand cyber better. Critical thinking was also highlighted as important, with Finland’s system being hailed for teaching it. Ness’ question about the efficacy of the current security stack was also met with pessimism. Shymkiv said it was inadequate and said that pattern recognition could have been the only way forward. 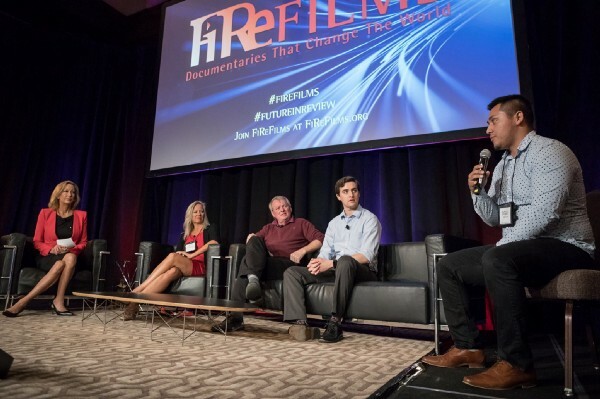 Ed Butler of the BBC hosted a panel titled “FiReStarters II: Five Companies Improving the World,” where he interviewed five more CEOs of FiRestartercompanies. From cybersecurity to parent-teacher communication, these startups are breaking new ground and making compelling tech applications. You can read here about Part I of this two-part FiReStarter panel series. “You have been hacked, you’re under attack. What do you do about it?” Rothrock began his presentation with this rhetorical question, immediately connecting his service to urgent real-world problems. RedSeal differentiates itself in a crowded cybersecurity market by consulting companies on the security vulnerabilities that are most likely to affect their bottom line. Rothrock pointed to the recent Equifax hack, which was devastating to consumers as well as halving the firm’s stock price. Rothrock claimed that RedSeal’s tools would have detected the issue that led to the Equifax breach. 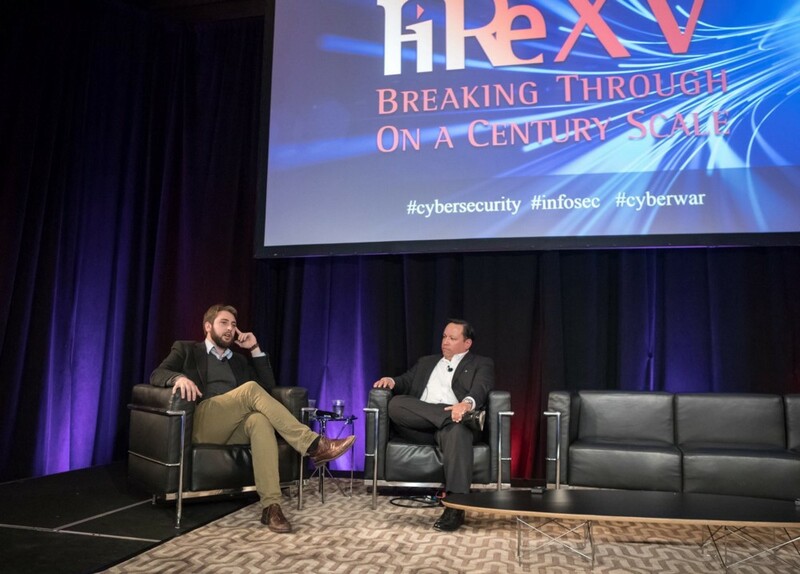 Rothrock’s experience sitting on several corporate boards, as well as his background in investing, means that he is able to see the big picture on corporate security. When asked about the value RedSeal adds, Rothrock responded that nobody calculates every path and downstream risk the way his firm does. 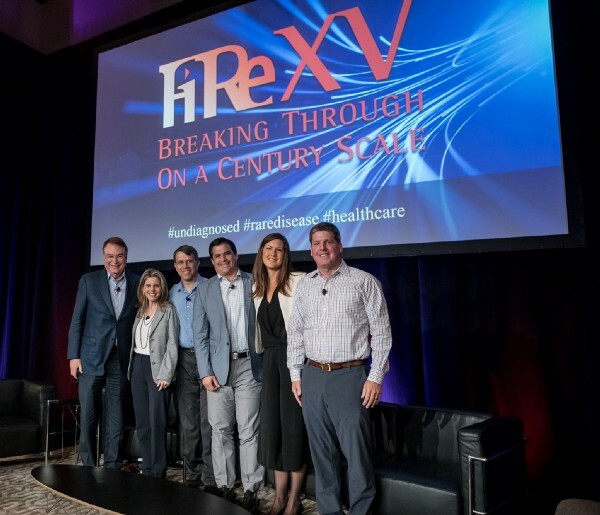 Haydale may be a familiar name to FiRe attendees: it’s the U.S. subsidiary of UK-based Haydale, which was a FiReStarter two years ago. Rudderham discussed his firm’s world leading capability in silicon carbide fibers and microfibers. Silicon carbide is used in aerospace and military applications. These silicon carbide fibers are one one-hundredth the diameter of a human hair. Rudderham pointed out that this type of fiber was invented forty years ago at the University of Utah not far from the conference venue. He explained the difference between graphene. another carbon-based nanomaterial sold by Haydale, and silicon carbide. The latter really shines when it comes to strength, and is effective in metal and ceramics. Graphene is high in electrical conductivity and is well-suited to improving polymers. Rudderham’s goals as a FIRestarter can be summed up as,”make more from less.” He calls his philosophy “functional intensity” — getting more function per weight and volume. Educators are implementing project-based learning to capture the interest of students in contrast to prior models of one-size-fits-all education. ParentSquare’s CEO Anupama Vaid believes that her software is especially well-suited to meeting parents of students where they are, while not overburdening already-busy teachers. Unlike existing social media platforms whose workflows are not designed with teachers in mind, ParentSquare optimizes parent-teacher communication by putting the scholastic use case first. Vaid claimed that as much as 50% of testing variance is caused by non-classroom factors originating in the home. ParentSquare’s mission is the help educators bring parents “into the fold,” regardless of family background. With ParentSquare, it’s seamless for teachers to share with parents. The app can send email, voicemail, or an app notification. These messages are delivered in language that parents understand, including a built-in translation capability. TruTag Technologies was conceived to solve the problem of counterfeiting. The impact of counterfeiting is large in the food and drug industries. The CTO of TruTag developed an optical memory device that is the size of a piece of dust. This tag allows consumers to authenticate food or pills before they ate or swallowed them. The second application of the technology was discovered in Wuh’s words, “almost by accident.” TruTag developed a handheld optical reader that can process 400 unique colors, which is up to 10 times more precise than the human eye. This camera has enormous applications, including the ability to identify tumors through imaging tissues. 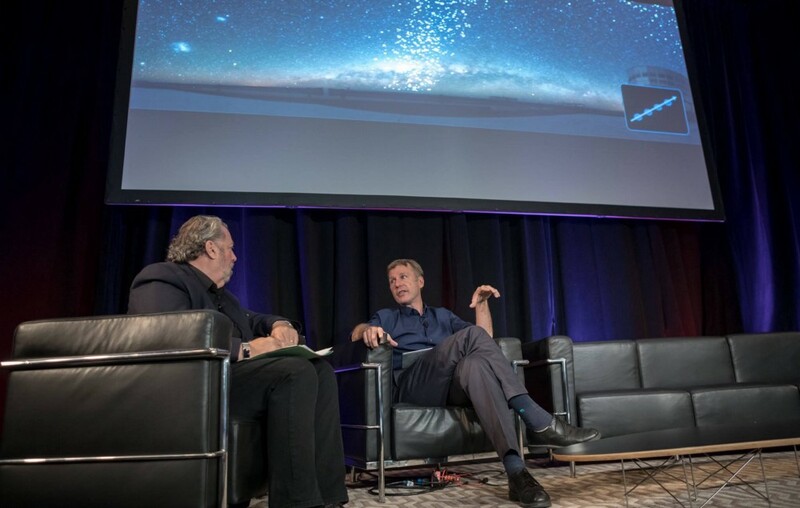 In a mind-bending session about the Large Synoptic Survey Telescope (LSST), the world’s most powerful telescope, Mark Anderson, CEO of Strategic News Services interviewed Andrew Connolly, Director, DIRAC Institute, Department of Astronomy, University of Washington. They discussed the reason for the building of the $187 million camera and what it will mean for scientific discovery. At start of the session, the two discussed the specifications of the LSST. The telescope is made up of 29 individual cameras and a mirror the size of a large conference room. The building where the telescope is located is an hour north of Santiago, Chile, at an elevation of 7,000 feet. It is the biggest observatory in the world. Connolly shared pictures of what the telescope is capable of capturing. Each star in the picture is located somewhere between one and thirteen billion light years away. One picture that the telescope takes covers 3.5 degrees of the sky and incorporates over 3 billion pixels. Connolly recounted a story of his previous work to give an idea of the capability of the LSST compared to history. Before this telescope was built, it took 8 years to photograph a quarter of the sky. Today, with the power of the LSST, it is possible to photograph the entire sky once every three nights. Telescope operators obtain 30 terabytes of data each night and can process that data in 60 seconds. Connolly explained that the applications of this data are invaluable to science. The information provides astronomers new insights into our place in the universe and what surrounds us. They can use this information to track planetary movement in the sky and predict upcoming changes. Personal data is everywhere and the attack surface which can be hacked has become very large with the use of apps and cloud computing. 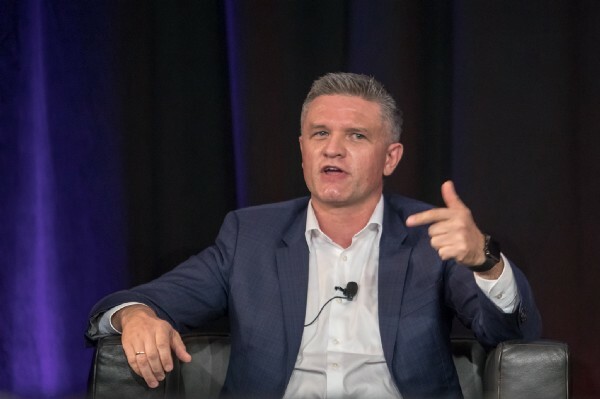 In a conversation with Evan Anderson, CEO, INVNT/IP, Rob Loeb, Solution Architect at Micro Focus explained that individuals tend to look at data on a personal scale and forget where they put their information. For this reason, he stated personal data ends up in places like Azure, in the cloud, and on government computers maintained by people who do not have the same level of concern for the data security of individuals as those individuals do. Additionally, hacking and leveraging this information has become a greater source of income for those living in developing nations. Hackers are currently focused on correlating your personal and financial data and leveraging them for profits. According to Loeb, firewall and code scanning are necessary measures, but ultimately inadequate to address the security concerns facing us today. What then, is the solution to protect your data from threats at all levels? For adequate security today, Loeb argued the data of an individual must be encrypted. “You literally have to do full stack protection,” Loeb said. Traditionally this process was very resource heavy but with the advent of new methods and faster computers, encryption can be performed with fewer resources. “When you translate the data the data is you,” Loeb said. He ended by emphasizing the importance of implementing this solution. FiRe 2017: Patents, Are We Truly Protected? 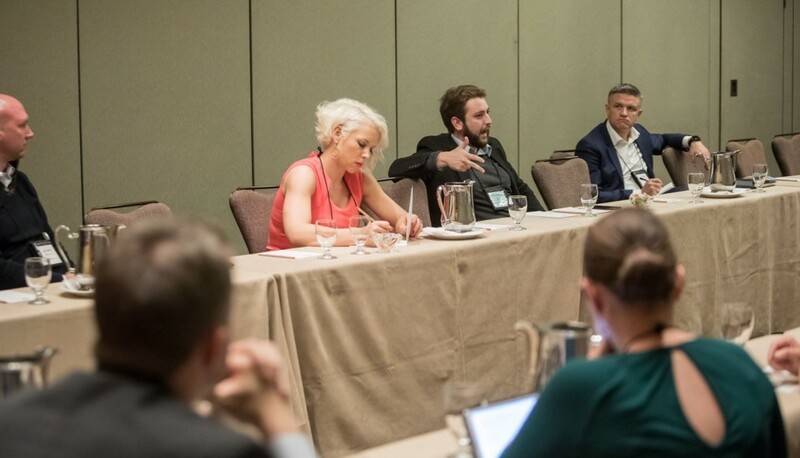 As the second day of FiRe conference wound down into the breakout sessions, Evan Anderson, CEO of INVNT/IP and Steven Sherman, VP Member Advocacy gave an eye opening talk about Intellectual Property (IP) protection and how they do not fully protect us. Sherman said innovation is driving economies and emphasized how protection is the backbone of the US economy. Quoting an economist, Enrico Moretti, he said “each new high-tech job in the U.S. creates five additional jobs in the service economy on the tech sector.” These, he said, are the reasons open innovation is highly encouraged and multiple financial opportunities for these ventures. Open innovation offers patent protection, trade secrets, separation on state and industry, competition on fair market principles. Sherman pivoted to the negative ends of this industry — known as “Info Mercantilist” — which disregards patent and IP law, conducts unfair trade practices, and indulges in currency manipulation. Consequences of this is the loss of IP intensive jobs, which has a greater negative multiple effects on employment. “Over 1.8 million global jobs were permanently lost in the telecom equipment sector alone resulting from Chinese infomerc[sic] practices,” said Sherman. 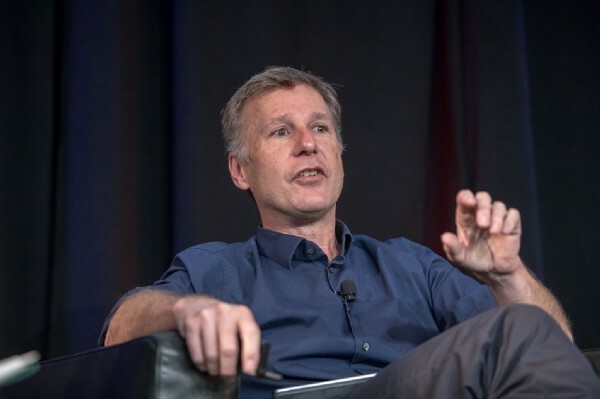 Anderson said that these actions can have dire effects on the US economy as well as international ones, but it should not deter people from innovation. He also continued the Sherman’s conversation about China and that once the information of a new idea has been created, China can take the information and change it. Despite the pessimism, Sherman ended on an optimistic note. Sharon Anderson Morris, managing director of FiReFilms interviewed three documentary filmmakers in a panel called “Documentaries That Change the World: Meet the Directors.” Diane Tober, Bo Landin, and Peter C. Davidson were there to screen trailers of their films and to discuss their work. For thirty years, some young women have participated in donating their eggs. However, Diane Tober, a medical anthropologist and documentary filmmaker, believes that potential egg donors need to be better informed about potential side effects. “The Perfect Donor” is a film that is still in development. Tober’s goals include to engage in conversations with medical professionals in the egg donation industry, to disseminate this information to a wider audience, and to ensure that women give informed consent to often-invasive procedures to stimulate egg production. Tober’s film is one prong of a wide-ranging campaign to change the egg donor industry. She is also creating an egg donor registry and conducting longitudinal research on egg donation’s long term effects. As the founding director of Scandinature Films, Bo Landin has extensive experience creating films that touch on medical and environmental stories. With a wide broadcast network, his testimony has affected national and international policy. One of the latest efforts in this prolific director’s canon, “Toxic Puzzle,” examines potential environmental causes of ALS and Alzheimer’s. “Toxic Puzzle” has screened at several film festivals and universities, and in Orinda near Berkeley. Landin said, “We have gone from broadcasting to ‘narrowcasting.’” He pointed out that documentary films often screen to small groups, compared to tens of millions in decades past. 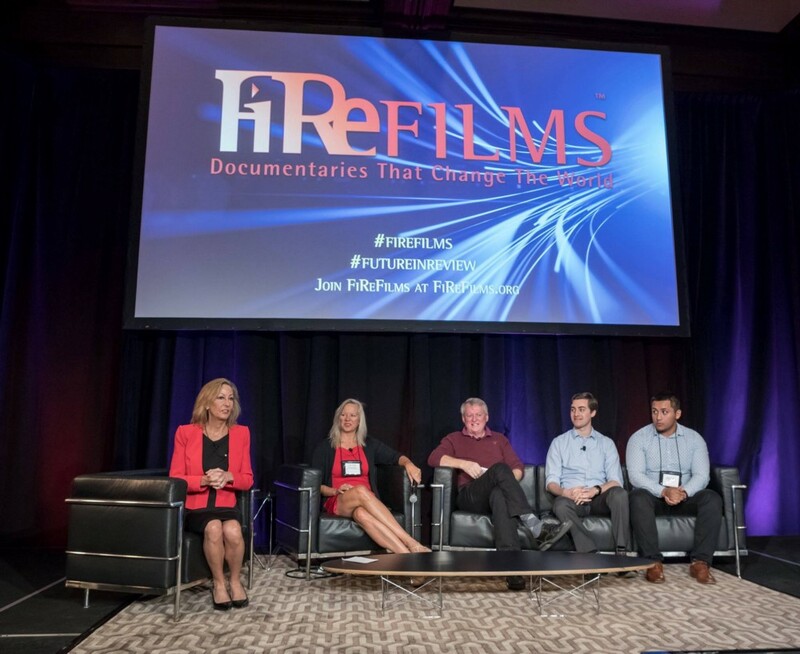 The passion to bring documentaries to a wider audience is the driving force behind FiReFilms, as Anderson Morris pointed out. She mentioned the close ties with FiReFilms’ corporate sponsors, including Zions Bank and Oracle, as a necessary foundation to FiReFilms’ mission. Jorden Saxton Hackney, the outreach coordinator for “Dying in Vein,” was not able to attend the panel due to a family emergency. However, the screened trailer showed that the film explores the opioid addiction crisis, especially as it touches on young people. Peter C. Davidson was an honors student at the University of Utah when he created and directed the film, “Diego’s Dream.” This project examines the life of one of his college classmates, Diego, who is an undocumented migrant from Mexico. This film was developed through the Humanities & Focusprogram at the university. Diego (Davidson has kept Diego’s surname private) is a DACA recipient, and he made a surprise appearance on this panel, to discuss his experience making the film and as an immigrant who arrived in the United States at the age of eight. Davidson’s film explores the human side of the current immigration debate. “I don’t pretend to know the perfect solution, but if people could have compassion, they might understand [the immigration issue] better,” he said. To support these and other nuanced, moving documentaries, you can buy a personal or corporate membership at FiReFilms.org. Additionally, you can text the word FILM to the phone number 33933. You will get a notice from Anderson Morris about once a month with a link to the trailer of that month’s FiReFilm. Things got heated at one of panels during the FiReconference between Representative Mike Winder and Benjamin Smarr of UC Berkeley. The two spoke about Smarr’s research in looking into studying the temperature of the human body for a new form of preventative medicine. “The body is difficult to study”, said Smarr talking about the complexities of the physiology and his fascination behind it. He mentioned his interest in trying to understand how something he consumed and now residing in his stomach changes and how it will affect him. 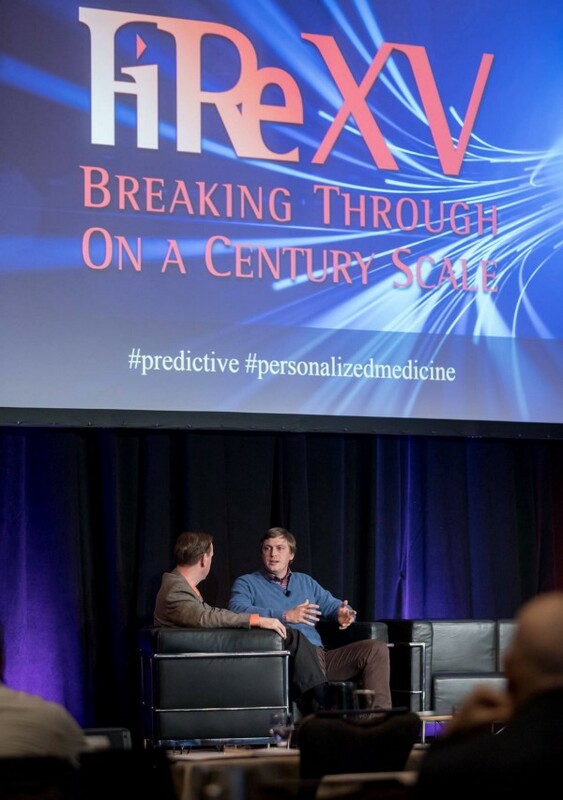 He spoke about pattern recognition within the body and how it can lead into prediction of actions or conditions. Smarr showed the audience a month-long time lapse of body temperature recordings of mice from day to night. “I look at body temperature across time,” said Smarr. Every different color pixel transcribes a different state the mice were in ranging from waking up, eating and eventually falling asleep. These were not the only bodily functions that can be seen from this image. Smarr made a note that this technology can be used elsewhere other than detecting pregnancies but especially in how well students will perform in schools. He also looked forward into a future where biological signatures improve our understanding of ourselves. “We are going to end up in a smart world,” he said. 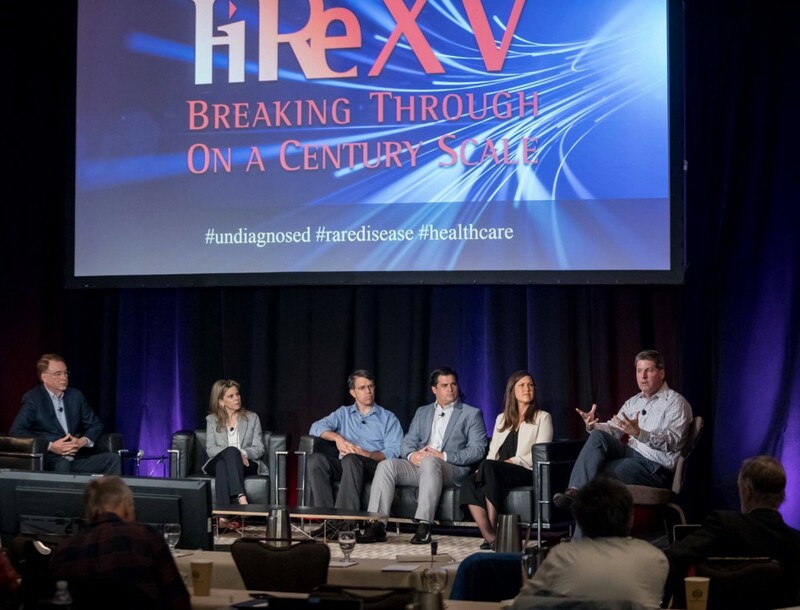 FiRe 2017: Breakout session: You Can’t Hide From This Report Card! 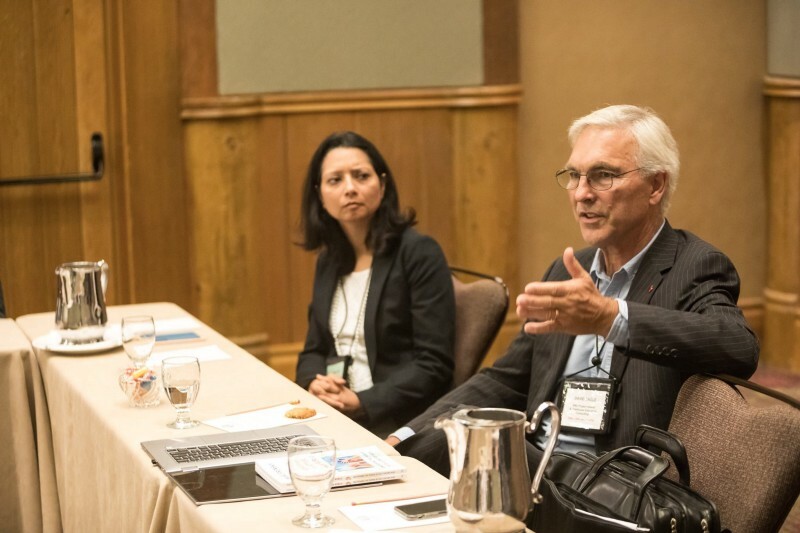 A cozy breakout session involving Anupama Vaid from Parent Square, moderated by David Engle from SNS Project Inkwell, explained how Parent Square is changing the way that schools and teachers interact with students and parents. The data provided by this system gives administrators the ability to make adjustments in order to better reach their unique demographic to help increase the learning that happens in their schools. The discussion started out with a brief history of the education system and Engle described the very slow moving industry that needs the barnacles removed in order to make improvements. He mentioned the system has been the same for many years and requires patience to implement changes. The discussion continued to go over a few of the problems and obstacles that tend to present themselves to the education industry. How do you account for schools where there is too much interaction with parents? How do you get your system to stick when schools typically swap our curriculums and programs as often as they swap out administration? Parent Square provides the answers through a very friendly user interface, as well as a highly customizable system. If the parents are too involved, the schools can pare things back. If schools are quick to turn over their programs, the loyal parents call for the system again. The benefits of Parent Square were also discussed, including the digital literacy growth that will come to low income families from having a reason to use the computer. When parents have a reason to interact with technology, their understanding grows. It was mentioned that this helps provide valuable education to parents in low income families as well. Vaid finished by commenting on the bright future of her company. “It’s exciting times for us and as we’re growing, it’s like the possibilities are endless,” she said. 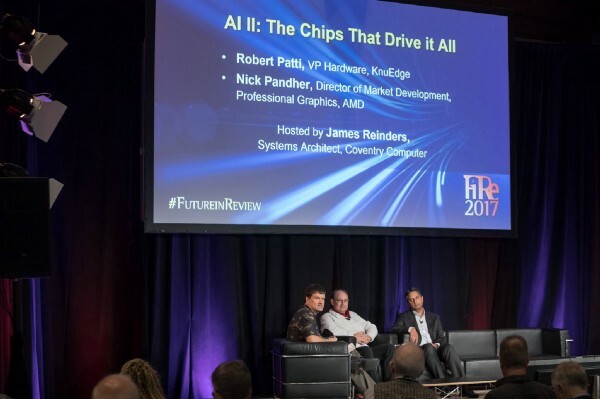 The third session of the third day of the FiRe conference consisted of a panel of Nick Pandher, Director of Market Development of AMD, and Robert Patti, VP of Hardware at KnuEdge. 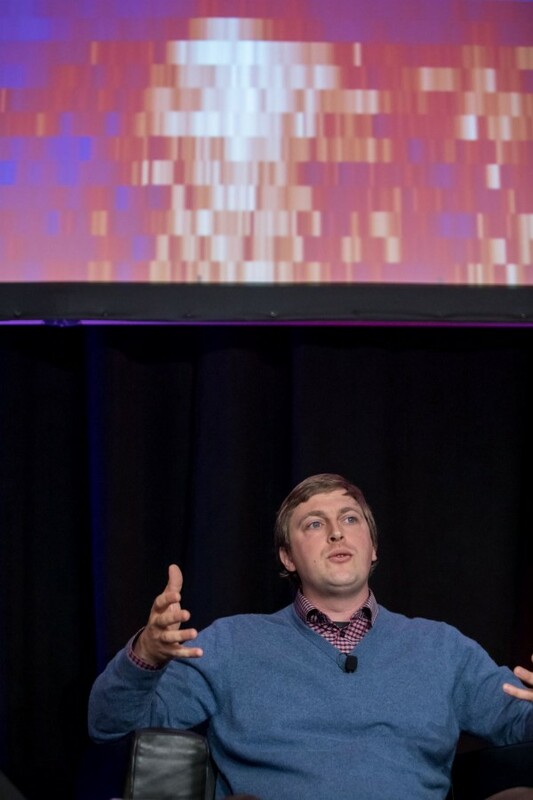 This session was titled “The Chips That Drive it All,” was moderated by James Reinders, Systems Architect from Coventry Computer, and discussed the present and future of chip design. Moore’s Law is over, or at a minimum compressed. This is a challenge for chip engineers. Scaling is still being done but more money and resources are being spent per additional transistor. This transition has led to more emphasis placed on chip performance. In part for this reason, the current landscape of chip and architecture design has been referred to as as the Golden Age. “For a computer architect I don’t think there’s ever been a more exciting time,” said Reinders. He spoke to his experience working on some of the most significant supercomputers of the past and explained projects today are eons beyond those capabilities. Patti explained that we are at a fundamental turning point with the compression of Moore’s law. As the rate of increased ability to put transistors onto a chip slows, it creates a more even playing field for new entrants into chip manufacturing. According to Pandher and Patti, it also means new techniques are required to improve computing. Artificial intelligence (AI) is one method to usher in improvement. Patti explained that instead of using traditional methods to build a new machine and improve based on transistor which attains 5–7% system improvement, more substantial system gains can be achieved through implementation of AI. “We are planting seeds and these are very primitive, we will get to machine learning squared,” Patti said. Patti emphasized that right now, platforms are being developed which will move technology to the capability of improving itself. He and Pandher further explained that individuals are taking advantage of hardware in ways not anticipated. The potential of novel packaging, 2.5 and 3 dimensional integration, novel chip materials and photonics in chip and system improvement were also mentioned as ways to cheat Moore’s Law improvements.